How did you get into truck driving? My husband was in the Navy and I was a mom staying at home. Was thinking about going to school to become a lawyer, but then decided to enroll as a paralegal. I was on the President’s List and Dean’s List and only lacked 6 months till I would finish. Then my husband had an ATV accident in 2008 that almost killed him. It took him a year to recover and during that time we used up all our savings and he had to retire. Financially, we were a sinking ship. That’s when we decided I would take over. My motivation was to replace his income. My husband’s sister drives a truck and she was the one who suggested I become a driver. I found that driving is the shortest school you can go to and in four weeks I was done. 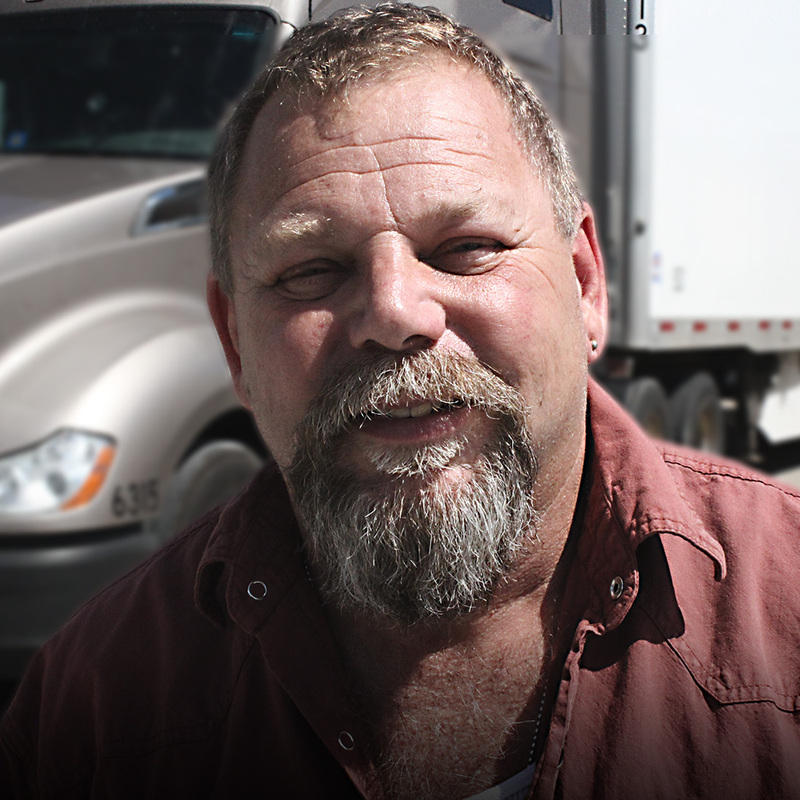 WHAT KIND OF TRUCKING EXPERIENCE HAVE YOU HAD? I’ve worked for two other companies. I worked for a pneumatic air tank company in Texas, running plastic pellets 300 miles out and back. I did that for a year, but it wasn’t working out. I’m not that tall so I was having to use extra tools to accomplish the same job as other truckers. The hoses were so high for me. They told me I was doing a great job, but I wanted a change. I feel like driving a dry van is super easy. Have no complaints. 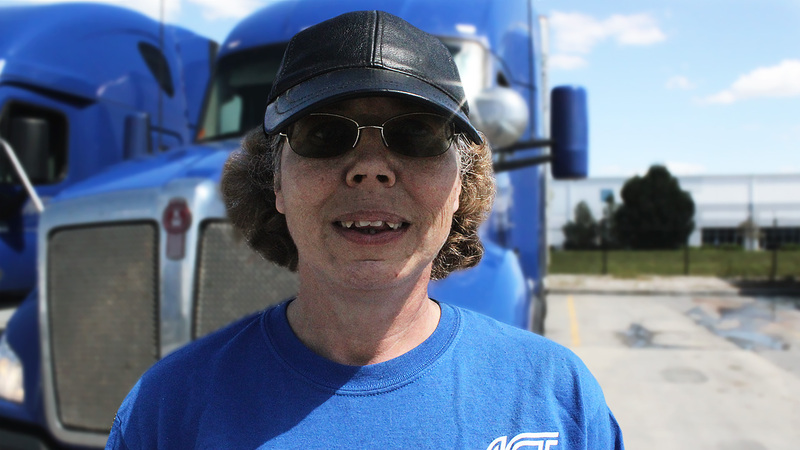 Learning to drive a big truck can be intimidating for anyone, male or female. You look at these big old beasts and wonder how you can manage it. It takes patience and close attention. My trainer told me to look for signs of all the drivers who have come before you – driving tracks where they’ve placed their tires. HOW DID YOU CHOOSE TO COME TO ACT? This is where my sister-in-law worked. She said, “you really need to come over here, you’ll love it.” She was right. I do love it. There are a fantastic group of people here. I like the fact that it’s drop and hook, so I get paid for driving, not unloading. They do really well at keeping you going. I usually have another load lined up before I drop, so I don’t have to sit very often. Back when I first went into trucking, I needed to go to work or we would’ve lost our house. Now we’re doing just fine. We’re living the same lifestyle we were before the accident. My daughter has graduated from high school. I prefer to stay out for 3 weeks and then have 5 days at home. I tried a shorter time out but that didn’t give me the amount of time at home that I like with my husband and daughter. When I’m out, my husband and I talk on the phone every day. And we were playing a RPG game together online; it’s kind of like having face-to-face interaction. WHAT DO YOU WANT TO TELL OTHER DRIVERS ABOUT THIS COMPANY? They’ve been super good to me the entire time I’ve been here. They try to run you according to how you like to run, and I’m known as one of those ‘runners’ – I like to take my breaks and then go! I don’t get by the yard much, but I did go and participate in the ALS walk. ANY ADVICE FOR SOMEONE THINKING OF BECOMING A DRIVER? 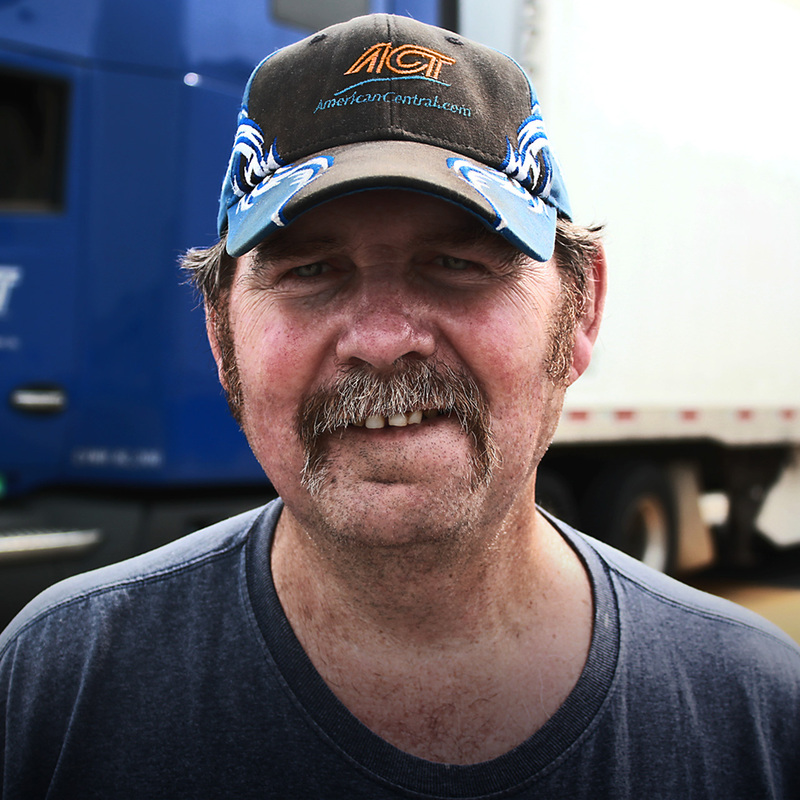 If you are ok with being alone and don’t have to have people around you all the time, you will like being a truck driver. It’s kind of like camping. New drivers worry about backing, but you can learn it. And I remind people: we go forward most of the time! Even though I was initially forced into this work because of finances, I love it now. You have to find meaning in what you are doing—and I have!